Every month we honour a member of Bournville Harriers. 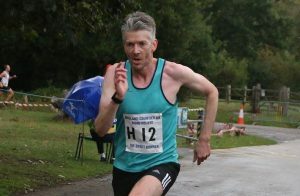 You can nominate anyone who has had a positive impact on your experience at Bournville Harriers in the last month or so, whether by cheering you on at a race, keeping you company on a training run, keeping you sane through your latest injury, or by doing something else someone might deserve recognition for. All we need is a name and a brief explanation of the reason you’ve nominated that person. We will sift through the nominations at committee meetings and may bring some of our own. The whole point of this is to recognise a wide array of members for doing all of the little things they do to make our club great! The winner each month will win a limited edition Bournville Harriers Pin Badge and will get a short profile on the website. We have built up a winners’ gallery, which serves the dual purpose of honouring our members and giving visitors to the BvH website a flavour of who belongs to our club and why. Please note that you will need to be a paid-up member to win! Nominations can be made by email by emailing bvhchairperson@bournvilleharriers.org.uk or by speaking to Dave on a club night. If you see me in the Pavilion Bar, you can buy me a… Gin and tonic. Favourite racing distance? I really enjoy 10k for the opportunity to run with a bit of pace. Winter is so full of cross country that I don’t seem to find much time for other races so it’s almost hard to remember. Favourite race/event? Cross country! 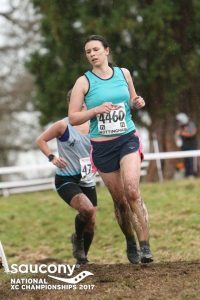 I love the team spirit, the challenge of different terrain and the adrenaline rush of running down a steep muddy hill. Also Man v Horse which was the most fun I have had at a race, even if it did break me a lot. Proudest moment as a runner? It’s a tie between finishing Birmingham marathon last year and coming third in the Wythall & Hollywood 5k, which was my first and only individual prize for a race. If you were trying to entice someone into joining BvH, what would you tell them about the club? I would tailor my sales pitch to the person, as all good sales people do 🙂 We have such a diverse set of people linked by a common enthusiasm for running – there is a place for every runner in BvH. I would also impress them with some stats* about how much the average BvH runner improves after joining the club. *Stats will be true in spirit but maybe not strictly fact checked. If you see me in the Pavilion Bar, you can buy me a… A Guinness. It has lots of iron apparently. That’s my excuse! Favourite racing distance? I think 10k because you have to run hard from the gun but also need an adaptable race strategy. Favourite race/event? It has to be the London Marathon. But it is a love-hate relationship. I have always said never again. 1) Running 2:44 in the London Marathon, especially as it was touch and go when my training fell apart. I stood on the start line knowing I had no buffer left to break 2:45. 2) Bournville hosting its first cross-country race at Cofton. That was our first winning year as a team. Back then we were in Division 4! 3) BMAF XC Relays 2013 when we won the M35 Gold. All the BMAF XC Relays were special in Derby as you could watch over half of each 3K leg from the stands. I have seen Dean P, Paul T and Orlando C close some phenomenal gaps. If you were trying to entice someone into joining BvH, what would you tell them about the club? We all run for a variety of reasons and BvH is the only club I know where you will find someone with a similar outlook.